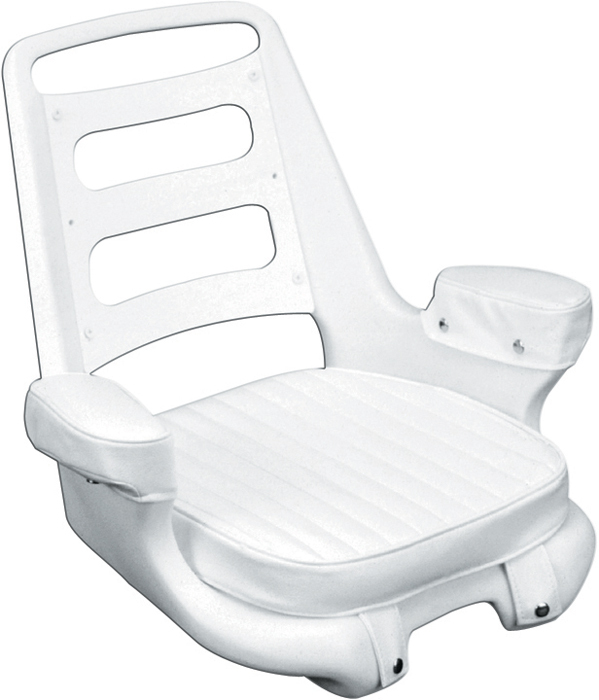 White 2090 chair, cushion set and mounting plate. Extra wide, ladder back seat. A true fisherman's chair. 24.50"D x 24.25"W x 20.50"H.
Easiest ordering process I have ever seen on an online order! I wanted to pay with Pay Pal. I called the 1-800 number and they said they were having problems with the web site and to try again later. When I tried again it still didn't work. when I called they were closed. I want to make sure I receive the Black Friday discounts so I had to use my visa card.